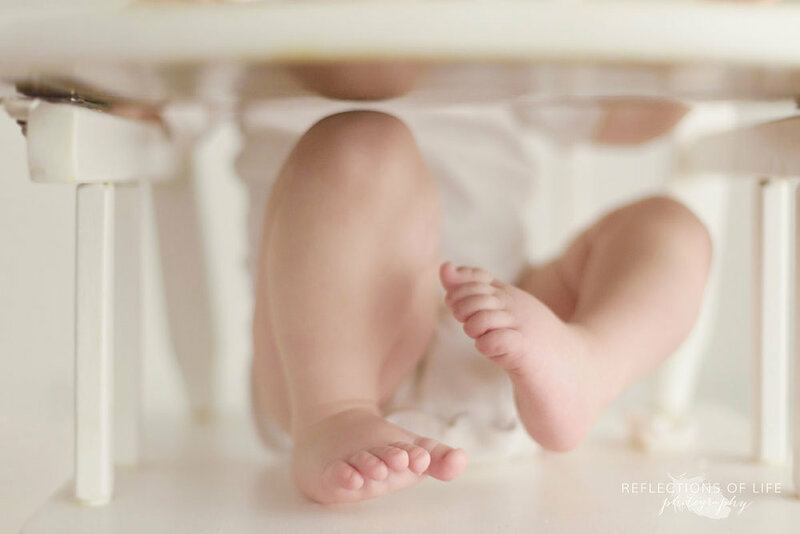 Your baby's first year is filled with firsts. The firsts of every holiday. The first smile, first rollover, first crawl, first foods, first steps. Each milestone reached fills your heart with pride, joy and a little sadness. For with every passing milestone, your baby is a little closer to growing up. 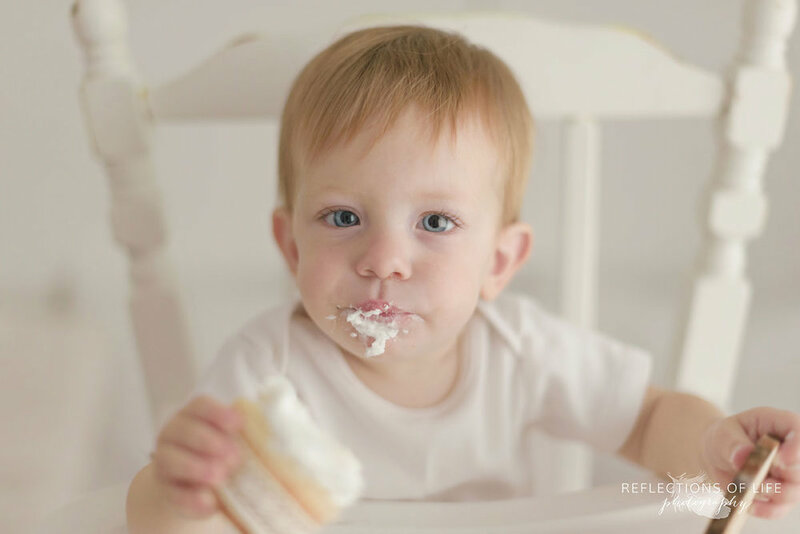 And with that first birthday celebration, many parents feel that it is the end of the "firsts" era. But I promise you, it is really just the beginning. There are so many firsts ahead of you. Some will make you laugh. Some will make you cry. And some will make you laugh so hard you cry. 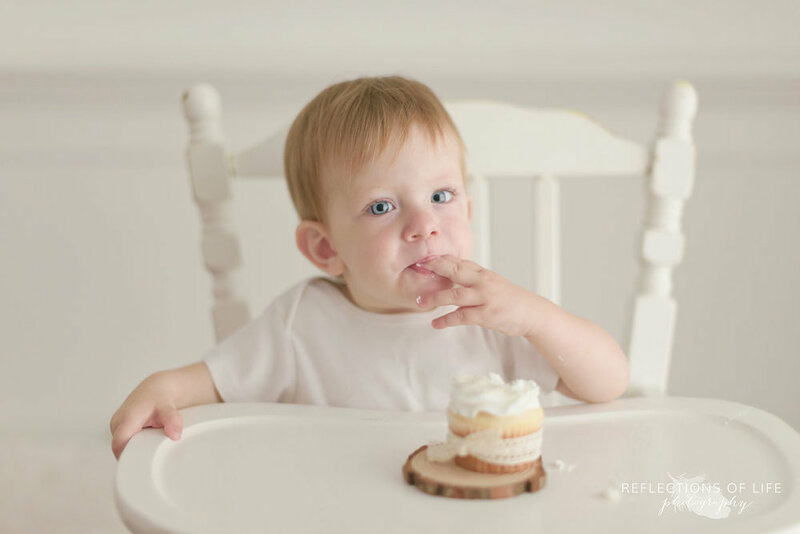 Carrigan recently turned one, and came to the Reflections of Life studio to celebrate. Like many one year olds, it took Carrigan a little bit to warm up to me. She is calm and reserved, and studies her surroundings intently. The results are captivating images of Carrigan as she is right now, at one. I cannot wait to see Carrigan and her family again. 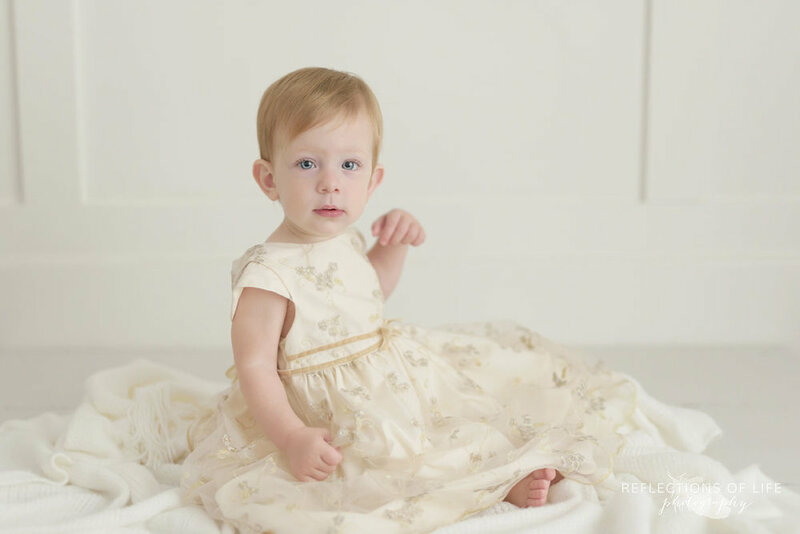 To hear about her milestones and firsts going forward because there are so many wonderful times and accomplishments to be reached as this little one continues to grow. And here's a completely adorable video of little Carrigan's cupcake adventure.